innogy SE is an established European energy company. With its three business segments Grid Infrastructure, Retail and Renewables, it addresses the requirements of a modern, decarbonised, decentralised and digital energy world. The focus of innogy’s activities is on offering existing and potential customers innovative and sustainable products and services which enable them to use energy more efficiently and improve their quality of life. The key markets are Germany, the United Kingdom, the Netherlands and Belgium as well as several countries in Central Eastern and South Eastern Europe, especially the Czech Republic, Hungary and Poland. In renewable power generation, the company is also active in other regions, e.g. Spain and Italy. The subsidiary of RWE AG started operations on 1 April 2016. 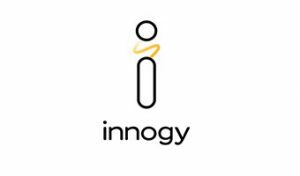 The innogy brand name is a symbiosis of the terms innovation, energy and technology. TSO and DSO to meet these challenges. conclusions for the whole European project. different challenges and deriving an overall strategy. challenges arising with the increasing amount of RES are connected to the distribution grid. to the TSO in all WPs which estimate future challenges, roles and solutions.